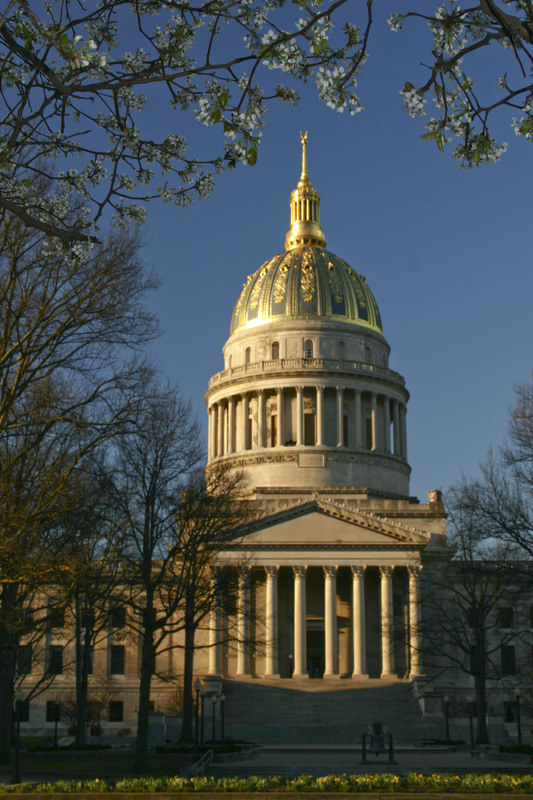 With welcoming remarks by West Virginia Governor Earl Ray Tomblin and West Virginia State Senator Brookes F. McCabe, Jr.
At the turn of the twentieth century, West Virginia was in the throes of its formative years as a state. 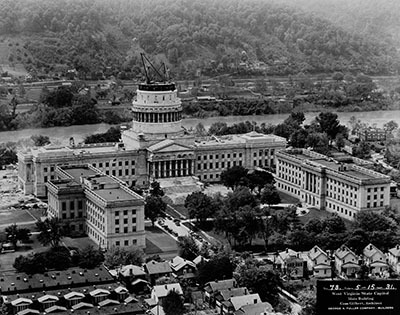 After more than two decades of alternating its government seat between Wheeling and Charleston and the destruction of the Gothic Revival Capitol in Charleston by fire in 1921, a building commission was formed to create a permanent Capitol that would display the young state’s pride, wealth, and sophistication to the entire nation. 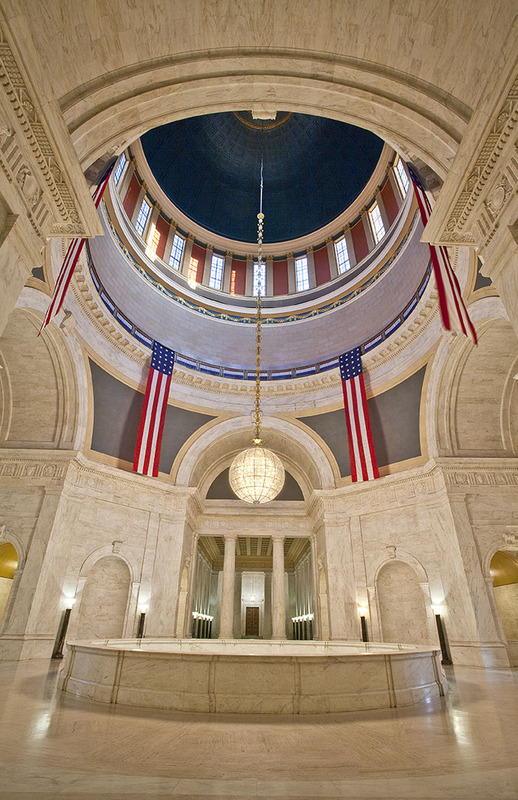 To achieve these goals, the legislature approved a budget of more than $6.5 million for the design and construction of this statehouse and the Commission appointed by the Governor hired internationally renowned Cass Gilbert as its architect. 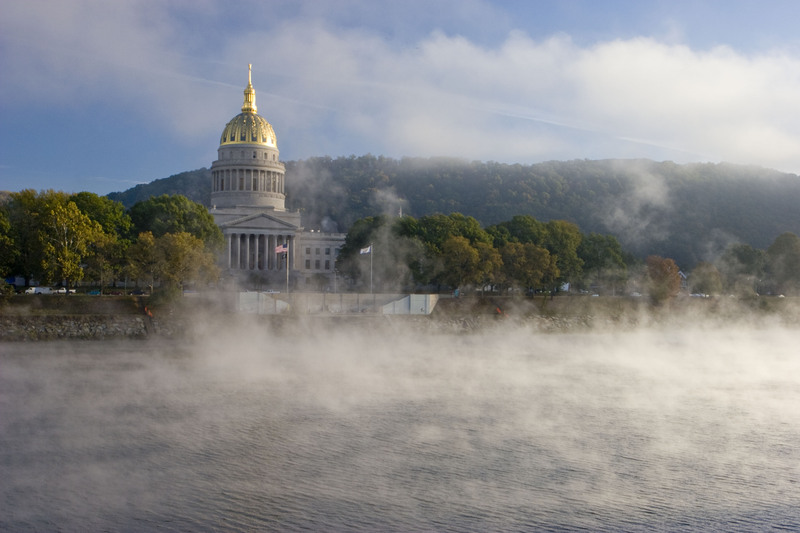 After much debate, an impressive site along the shore of the Kanawha River in Charleston was selected as its location. As one of the most influential architects of the early twentieth century, Cass Gilbert is known for structures such as the Woolworth Building, the United States Supreme Court building, and the Minnesota State Capitol. 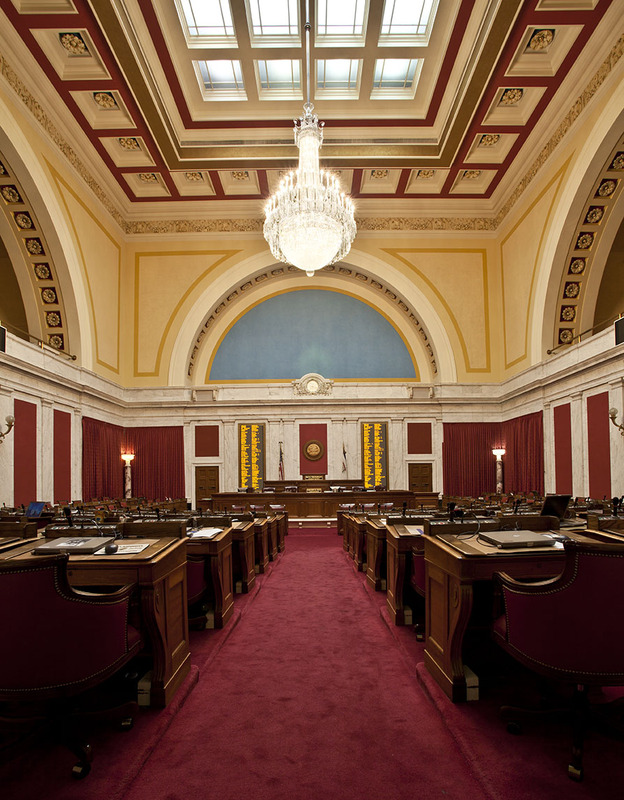 He believed architecture should reflect historic tradition and established social order, and this conservative philosophy is evinced within the classic form and proportions of the West Virginia State Capitol. 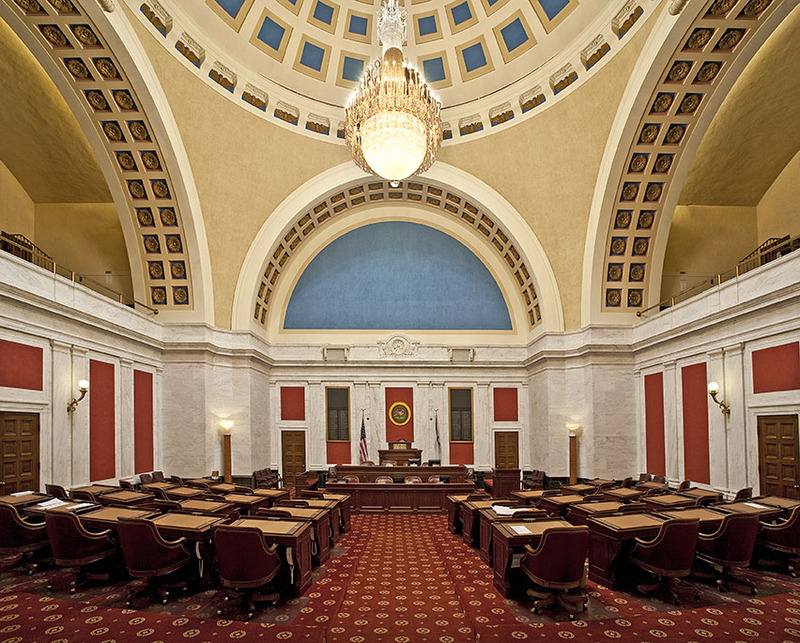 As one of his final commissions, the West Virginia Capitol, with its golden “dome of majestic proportion,” marble interiors, ornamental reliefs, and rich woodwork, remains a distinguished example of noble simplicity in American architecture. 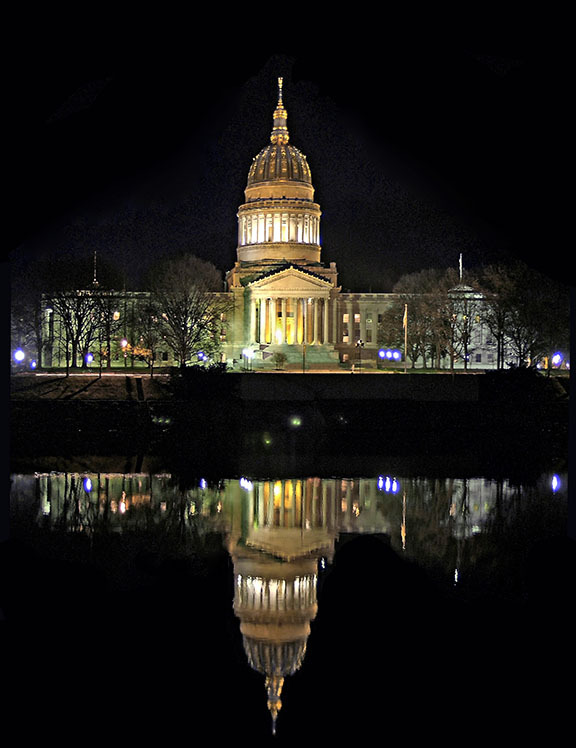 Cass Gilbert’s West Virginia State Capitol narrates the intricate story behind this architectural feat. Its close examination of the design, construction, and execution of this commission not only reveals the social, political, and financial climate of West Virginia during this period but also provides insight into the cultural importance of this public building. 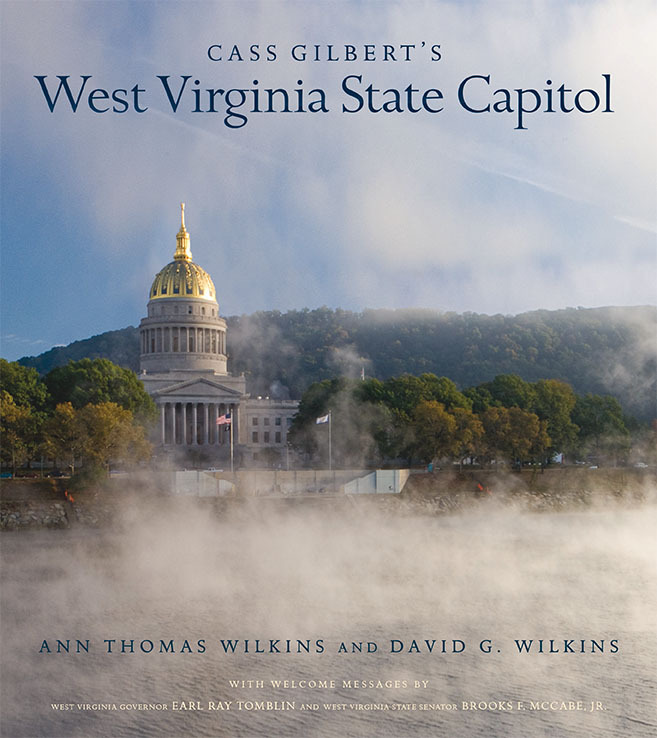 As Cass Gilbert’s design process is traced through unpublished documentation, drawings, and letters from several archives, the more than one hundred accompanying photographs—many historical and others newly commissioned for this book—divulge the subtle beauty of the Capitol complex. 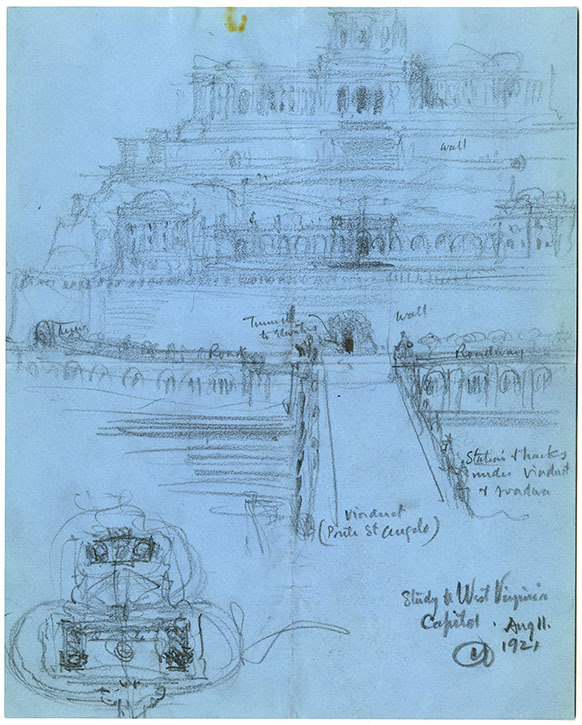 At the same time, an extensive analysis of historical and contemporary illustrations and primary sources further elucidates the architectural value of this structure. With welcoming remarks by West Virginia Governor Earl Ray Tomblin and State Senator Brooks F. McCabe, Jr., a prologue by art historians Bernard Schultz and Mary L. Soldo Schultz, and an epilogue by Chad Proudfoot, this revealing and comprehensive study examines the importance of this often overlooked architectural accomplishment, solidifying its significance as a socio-political symbol as well as its place within the history of American public architecture. Ann Thomas Wilkins retired as Associate Professor of Classics at Duquesne University. She is author of Villain or Hero: Sallust's Portrayal of Catiline and of articles on Bernini and Ovid, the Tullianum prison in Rome, and the relationship between the architecture and urban developments of the ancient Roman emperor Augustus and the 20th-century dictator Mussolini. David G. Wilkins is Professor Emeritus of the History of Art and Architecture at the University of Pittsburgh. He served as both Director of the University’s Art Gallery and as Chair of the department. In 2005 he was honored by the College Art Association with their national Award for the Distinguished Teaching of Art History. 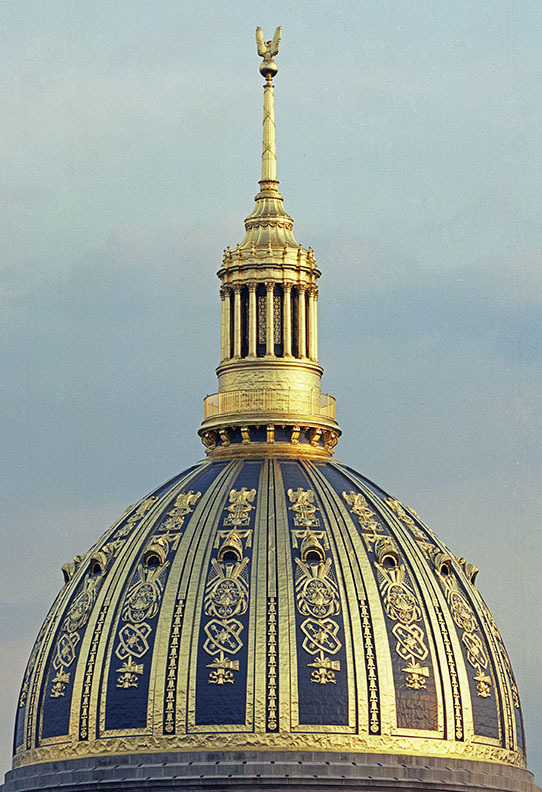 His books include Donatello, Art Past/Art Present, History of Italian Renaissance Art, and A Reflection of Faith: St. Paul Cathedral, Pittsburgh, 1906-2006. By 1921, when he was selected to design the West Virginia Capitol, Cass Gilbert had become one of the most famous architects in the world. 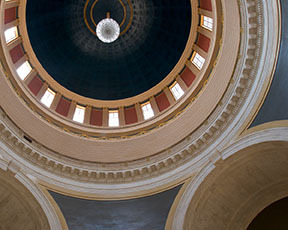 While his international reputation was largely based on the Woolworth Building, for many years the world’s tallest building, his reputation in America was rooted in his Minnesota State Capitol. 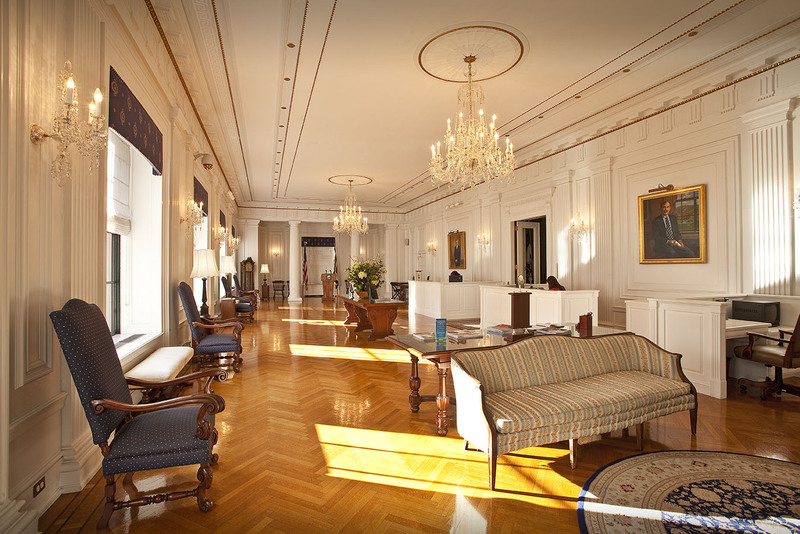 Gilbert was also recognized for the integrity of his practice and his ability to manage simultaneously the construction of large-scale projects. 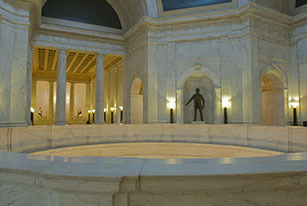 Although he was a contemporary of European and American architects who championed modernism, such as Frank Lloyd Wright, Gilbert was a traditionalist whose writings and buildings—including the West Virginia State Capitol—demonstrate his profound dedication to the forms, motifs, symbolism, and proportions of the Classical style.